I’m truly not obsessed with Ina Garten. Really. The fact is that I pull a couple of cookbooks off of my shelf and that becomes my reading material for a while. My 6 year old recently asked me if I could… for once, just read a normal book. “I read normal books sometimes,” I said. I have no idea why this bothers him so much. It’s not like I’m taking my cooking magazines with me when I watch his little league games or anything (only sometimes!) No- seriously… finding a balance between blogging, reading other’s blogs, my recipe site, exercising, laundry and family is tough. There just aren’t enough hours in the day, for sure. At least the family reaps the benefits of my cooking. 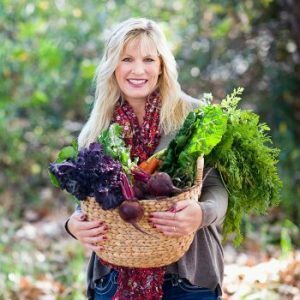 I remind my son every day that not all Mommies cook (and how lucky he is, blah blah blah.) I think he mostly just hears the blah blah blah part. But he really does love most of Mommy’s cooking and requests muffins often. I spotted a couple of muffin recipes in Ina Garten’s Barefoot Contessa at Home cookbook, so I made these gorgeous muffins for breakfast: Tri- Berry Muffins. 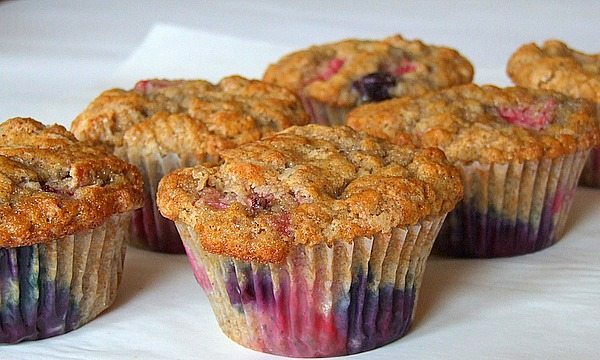 The name of the muffins indicates three berries- raspberries, blueberries and strawberries. And since those were all on sale and looking good already ’round here, this was the obvious choice. 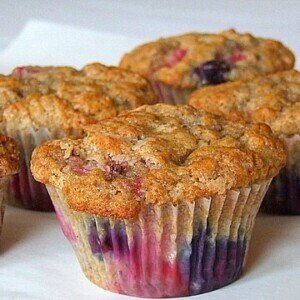 Funny thing about these muffins- the sugar is added at the end and folded in with the berries. Interesting, huh? 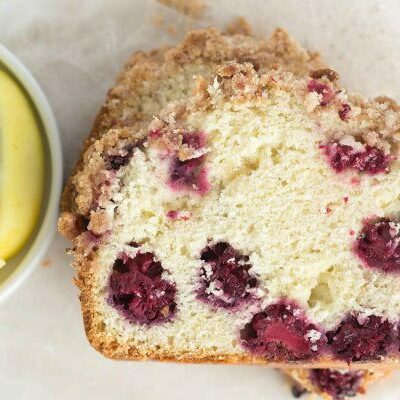 This produces a muffin with a delicious, crunchy exterior without having to make a streusel. 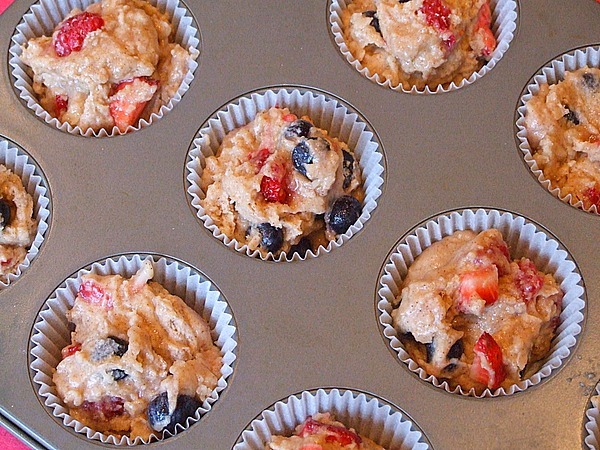 We could hardly wait for these muffins to finish baking. The thought of breaking open a warm muffin and having the hot berries ooze out was almost too much to handle. They were indeed fantastic right out of the oven (and even a couple of days later too.) A major thumbs up from all family members. 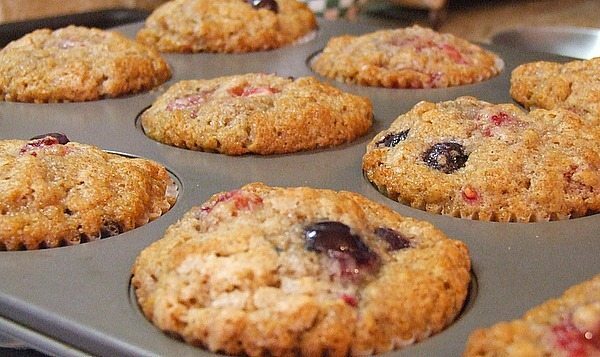 Three berries make these muffins over-the-top delicious! 1. Preheat oven to 375°F. Line muffin tins with paper liners. 2. Sift flour, baking powder, baking soda, salt and cinnamon together in a large bowl. Stir with your hand (or a whisk) to be sure the ingredients are combined. 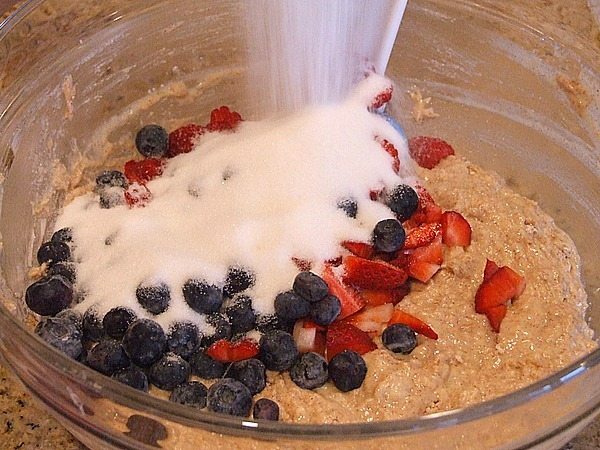 In another bowl, combine the milk, eggs and melted butter. 3. Make a well in the middle of the dry mixture, pour the wet mixture into the well, and stir until just combined. There will be some lumps but don't over-mix the batter. 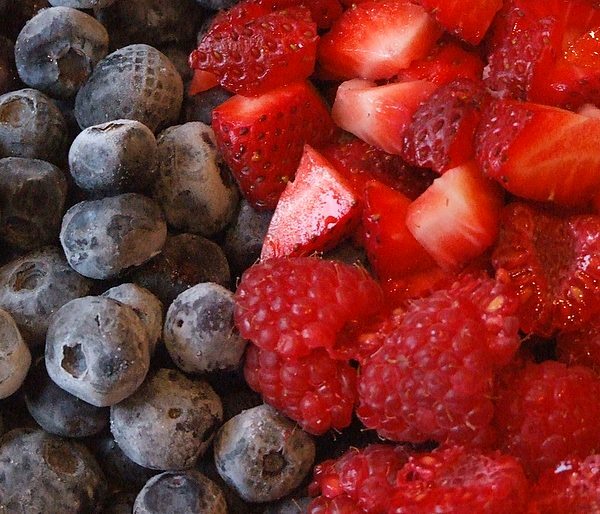 Add the blueberries, raspberries, strawberries and sugar and stir gently to combine. 4. Using a large spoon or scoop, spoon batter into the muffin cups to fill the liners. Bake for 20 to 25 minutes, until a cake tester comes out clean and the tops are nicely browned. 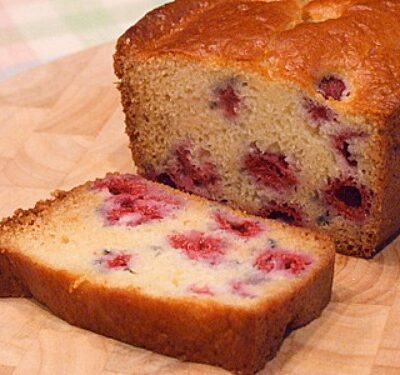 I am looking for a recipe that is substantial NOT cake like. Do these muffins fit the bill? 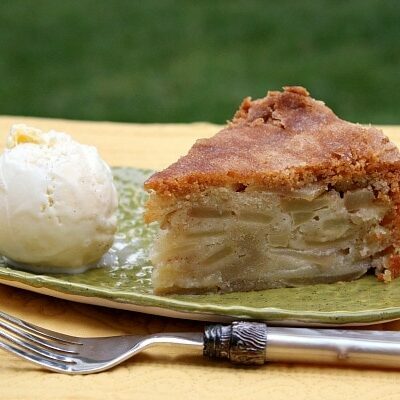 Margie, it has been quite some time since I’m made these, and I’m afraid I can’t remember the texture! I was so glad to find this recipe on your site. 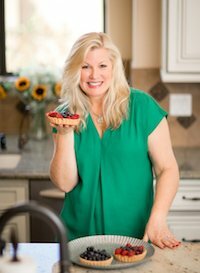 I have Ina’s cookbook and there is a different picture of what her muffins look like. The batter and my muffins do look just like your pictures. I was able to get 28 muffins out of this recipe. Did you use the bigger muffin pans? or regular size muffin tins? They are really sweet and would be great with a cup of coffee. Thanks again for having the pictures on your site. I used regular-sized muffin tins. I got the book from the library a few weeks ago, and tried this recipe. 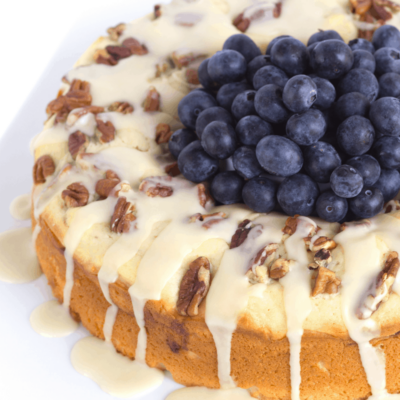 It’s delicious, and easy. 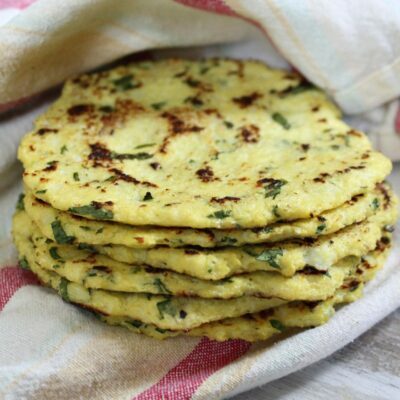 Keeps really well in the fridge (rewarm in the microwave or oven). I made them with frozen berries, because it’s winter here in Australia, and they were great. I did the usual muffin thing of dry ingredients in one bowl and wet in the other, and it worked out fine. I looked it up on the net as I had taken the book back to the library, and am making them for friends this weekend. Definitely a keeper. Oh, forgot to say, had a little pear that was going overripe, so I put in one and a half cups of berries and the pear chopped ( about half a cup) and it tasted great. Darcy- I’ve never tried it. I’ve made loaf recipes into muffins without changing anything, so I’m wondering if it would bake up just the same. Let me know if you try it out & it works! 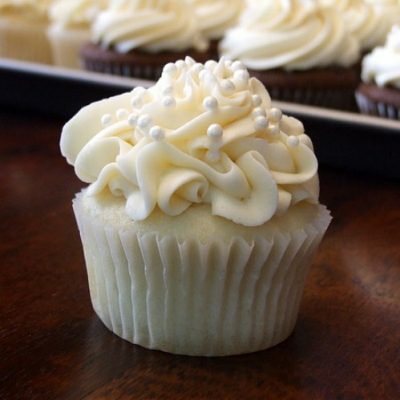 I made these muffins last night and they are amazing! They will be in regular rotation!